"Jim, Max, Sasha, Alexis, Ben & family, My deepest..."
"Goodbye Kat...I'll always remember how you kept me..."
"Blessed to have met Kathy both in Colorado and in..."
"I so admired Kat for her strength, love of her family and..."
"Jim, My heart breaks. 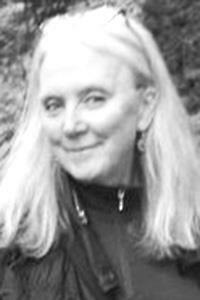 Your loving sister, Chris"
GORHAM - Kathleen 'Kat" Ann Riseman, 71, passed away suddenly on Feb. 5, 2019, at Maine Medical Center. Daughter to Catherine (Delvo) and John J. Lucy, she was born in New Rockford, N.D., on June 16, 1947. Kat's creativity, adventuresome spirit, and seemingly bottomless generosity afforded her an abundance of life experiences with a wide circle of friends and family. She grew up in Fargo, N.D., and pursued higher education at NDSU. On summer break, Kat followed the 'Call of the West' to Colorado for a summer job working at a dude ranch - an experience that forever instilled in her a love of Western landscapes and culture. Yet, it was the East Coast that beckoned her to move, leaving Fargo for Boston in the early '70s. This stepping stone paved her way to southern Maine where she resided for the past 40 years. Kat was successful in her careers as co-owner of the Village Tie-up in Harrison, marketing and resource director for UNUM, and various regional non-profits, and later, as copy editor at Tyler Tech, from which she retired in 2013. Laughing, traveling, reading, gardening, spending time with friends, and sailing - a pursuit in which Kat met her second husband, Jim Skinner, were some of her favorite pastimes. Whether it be the holidays or the long summer weekends at the lake, in the kitchen or in the barn, 'Mama' Kat especially loved sharing moments with her children and grandchildren. Kat was happiest when the entire family gathered, and just like every phone call, she never wanted these nights to end. Her spirit lives on in our memories, and her presence will be sorely missed. In addition to her parents, Kat was preceded in death by her only sibling, Joan (Lucy, Foy) Nelson. Living loved ones include husband, Jim Skinner; daughters, Alexis (Riseman) Bergman with spouse, Beth (Eisenberg) Bergman, Sasha Riseman; sons, Ben Riseman with spouse, Rebecca (Golden), and Max Riseman with spouse, Mandie (Lasselle); grandchildren, Rex Riseman, Linden and Aliza Riseman, Liam Doherty, Kai Bergman; nieces Jodi (Foy) Buchan and Juli Foy. Visitors may join the family in honoring Kat on Saturday, February 9, from 1-3 p.m. at Gorham Chapel of Dolby, Blais & Segee, 76 State St. Gorham. A celebration of life open house will begin at the family home after 3 p.m.